East Gippsland is the eastern region of Gippsland, in the eastern part of the State of Victoria in south-eastern Australia. East Gippsland covers about 31,000 km2 (less than half of 1% of Australia). It is a favourite natural region of this Editor, since I lived there for a time as a child in the large town of Sale. I recall my father taking me sailing in a Heron sailing dinghy on Lake Wellington in back 1971. I recall the Black Swans on the lake, and down along the coast Hooded Plovers scurrying across the sand on wild windy days. East Gippsland encompasses windy coastal heathlands, wetlands and lakes and tea tree scrub in the south then across fertile basalt valleys, climbing to rich forested foothills and up to rugged subalpine mountainous ‘high country’ to the New South Wales border in the north. The high average rainfall received from Winter frontal systems largely over the Southern Ocean from the south west. Over eons, this rainfall has produced limestone caves and many wild rivers that flow from the mountains southward through dense ancient forests into Bass Strait, including the famous Snowy River which has been dammed, Mitchell, Thompson, Tambo, Nicholson, Thurra, Wingan, Genoa, Bemm and Cann Rivers. 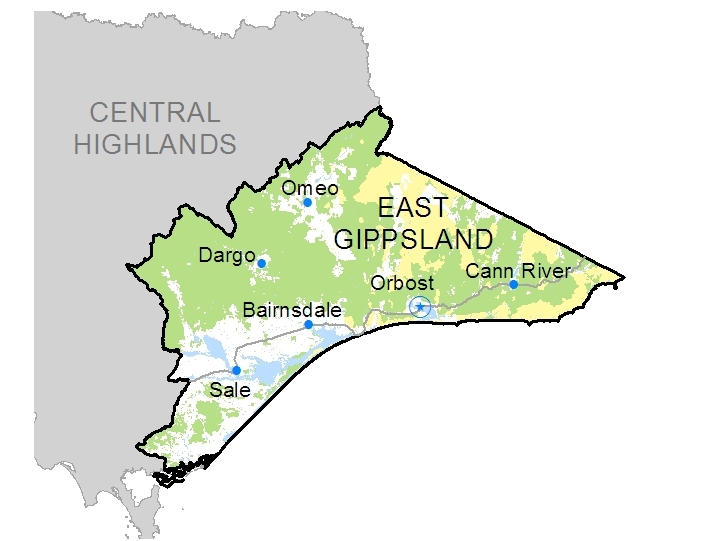 East Gippsland has the largest remaining area of old growth forest probably because it is the furthest area from metropolitan Melbourne and Sydney. But disturbingly it is being clearfelled for woodchips and plantation establishment by the State-owned ‘VicForests’). 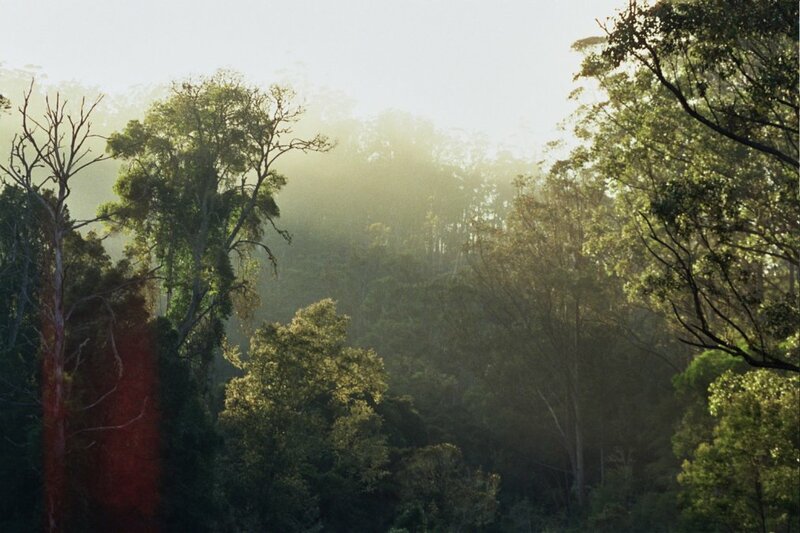 The old growth forests include those dominated by Eucalyptus regnans, the largest flowering tree on Earth, deep fern gullies and over 500 rare and threatened species of flora and fauna in a temperate wet forest ecosystem that is relatively small, biologically unique and irreplaceable. Internationally-renowned botanist Professor David Bellamy has described East Gippsland’s forests as the most diverse temperate forest ecosystem anywhere on Earth. Rare, threatened and endangered wildlife of East Gippsland include the Mountain Pygmy Possum, the Central Highlands Leadbeaters Possum, the Long-footed Potoroo, native waterbirds including the Black Swan (a target of Government-endorsed shooting), Yellow-bellied Glider, Sugar Glider, Spotted-tailed Quoll (Tigerquoll), Powerful Owl and Sooty Owl. Uncontrolled feral cats and foxes are a significant problem to wildlife survival. 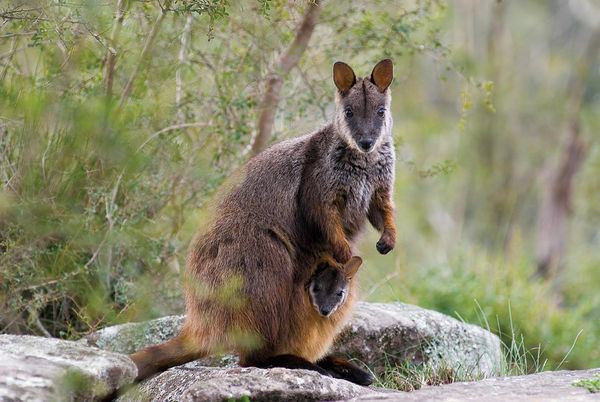 The Brush-tailed Rock Wallaby was once prevalent throughout south-eastern Australia, but the population has decreased due to loss of habitat, hunting, and predation by foxes and competition with goats for food. In addition, the Southern Brown Bandicoot and the Broad-toothed Rat are both regionally classified as ‘Endangered‘ in East Gippsland. So there is obviously a serious wildlife problem that both the Victorian Government and Australian Government have each allowed to have occurred over decades of encouraging/allowing colonial exploitation, deforestation, irresponsible and reckless bushfire management, introduction of exotic pests and subsequent ecological management, and ignoring funding. Most people have never heard of many of these species, which is indicative of our skewed education system. There are seven national parks including Errinundra National Park and Croajingolong National Park. There are also a series of ‘State-forests‘ and supposed ‘Reserves‘, yet the Victorian State Government allows these to be logged and burned at random by its own departments. East Gippsland has a human population of about 80,000 mainly concentrated in the larger townships of Sale, Bairnsdale, Omeo, Dargo, Lakes Entrance, Orbost and Mallacoota, with encouraged housing development trending along the coast. The major industry is often considered to be State Logging which remains the prime threat to the natural integrity of the region, while only employing less than 1% of the employed population. Logging of native forests has caused sustained controversy in East Gippsland, particularly due to the unique species found in areas east of the Snowy River, and the contentious public debate surrounding native forest, particularly old-growth logging. Marlo and Mallacoota features extensive coastal heathlands and as well as the only major area of warm temperate rainforest in Victoria. 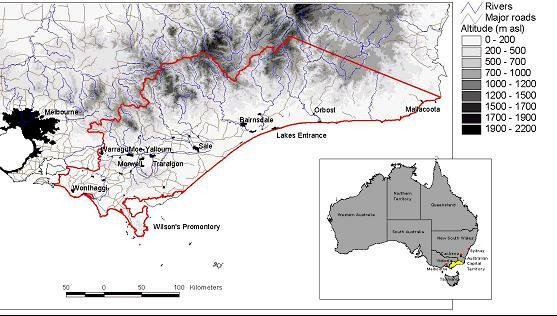 The 4,000 km² odd of privately owned land includes red gum plains, coastal plains, mountain plateaux and fertile river valleys. 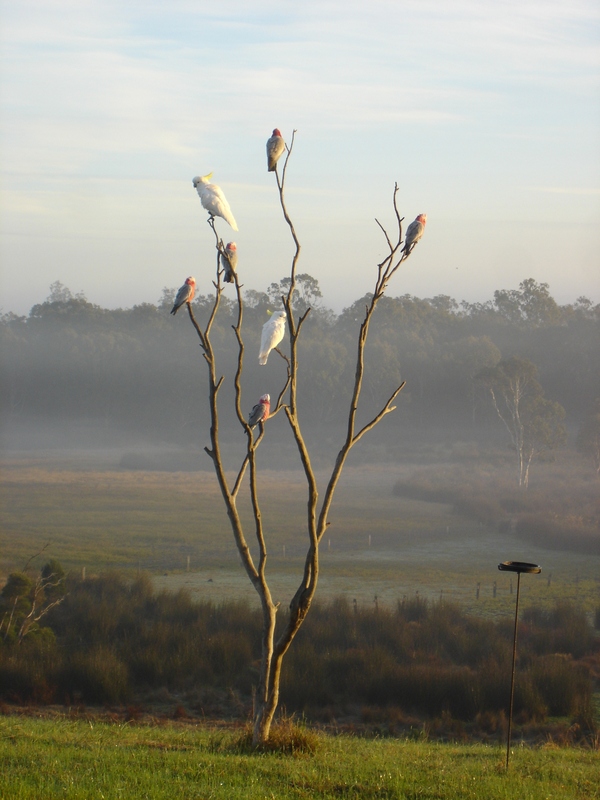 Environment East Gippsland Inc. (EEG) is the primary conservation organisation focusing on East Gippsland. It is based in Orbost and was established in 1982. It remains a fiercely independent not-for-profit conservation organisation. EEG is the longest running community forest group working solely for the protection of Victoria’s last and largest area of ancient forest and surrounding natural environment in East Gippsland. 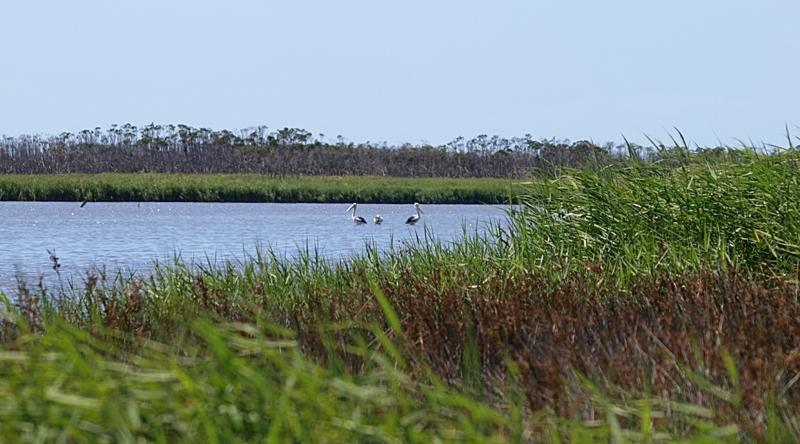 EEG has been working to protect East Gippsland’s natural areas and wildlife for almost 30 years. As a locally based group we play a vital role in information gathering on the local logging industry and badgering our ‘forest managers’. To co-operate with other groups having similar objectives. ‘We began by writing letters to government ministers, writing submissions and dealing with government departments and processes. We realised that many of these processes were set up to legitimise what the government intended to do anyway. Public opinion was often held in contempt but the government had to be seen to be ‘consulting’. There was a disproportionate amount of valuable time spent ‘playing nice’ in these processes compared to the often poor and predictable outcomes. ‘We now focus more on exposing things like mismanagement, economic insanity of logging, the woodchip ‘mafia’, climate links and so on. We liaises closely with larger state and national groups such as The Wilderness Society, Environment Victoria and the Australian Conservation Foundation. 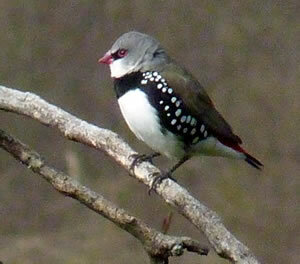 We carry out wildlife surveys to identify threatened species in areas due for clearfelling. We do on-ground work assessing logged coupes, analysing local information, showing up inconsistencies, documenting breaches of environmental codes etc. We campaign to make the logging industry truly sustainable which to a large degree involves a shift into existing plantations. We help in the wider campaigns of company boycotts. We are involved in legal challenges when funds permit. We constantly challenge the government and logging/woodchip industry to come clean. We hold an annual Easter Forests Forever Ecology camp which attracts over 100 people. Botanists, ecologists and conservationists lead walks and discussions about natural history and the threats to our forests. We publish a highly regarded, no-holds barred, satirical and clearly spoken 12-16 page newsletter covering issues relevant to East Gippsland’s environment and wider forest related stories ‘The Potoroo Review‘). We assist where possible with blockades of controversial areas, by doing such things as sending out media releases, talking to journalists, speaking on radio etc’.